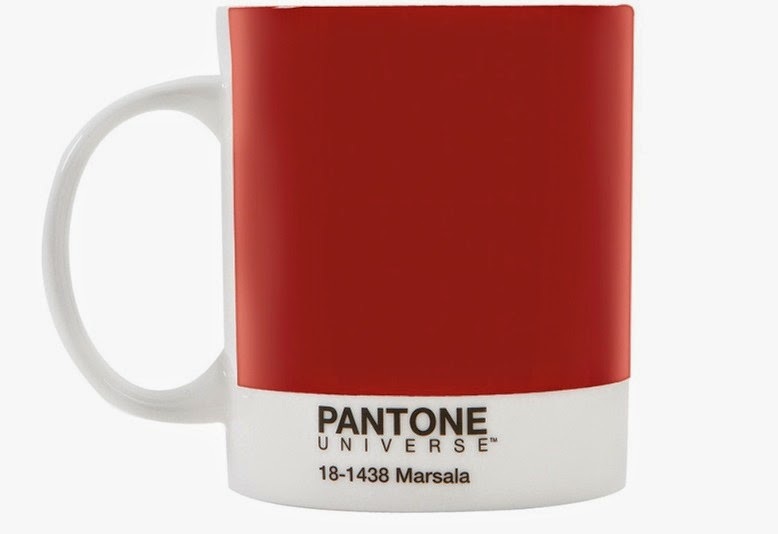 Marsala into your nautical décor. 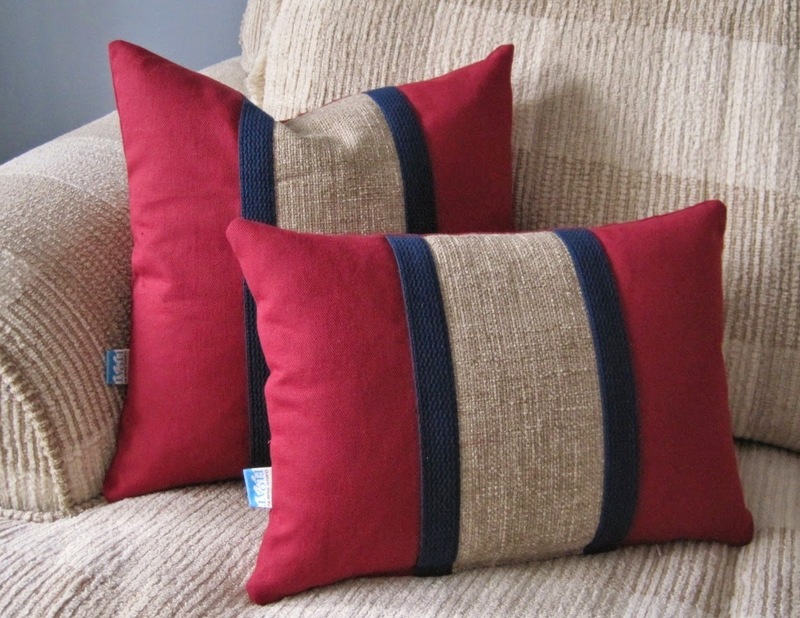 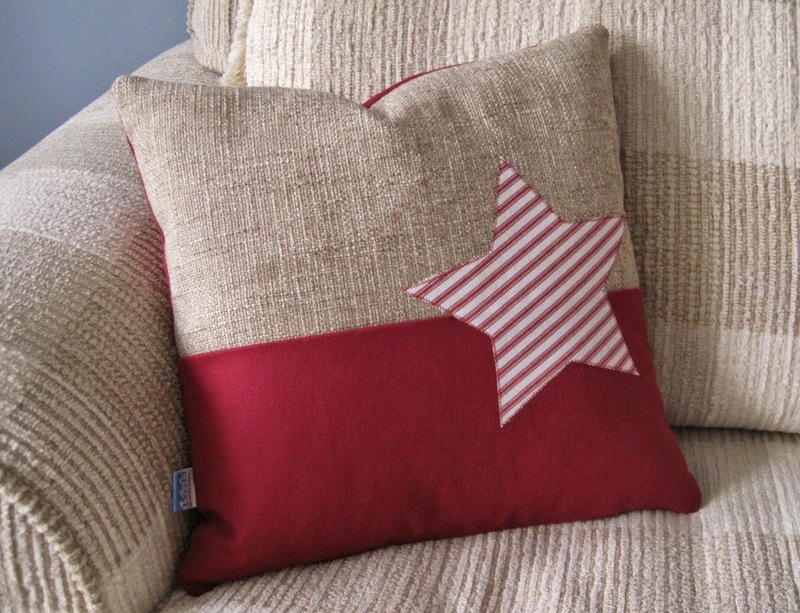 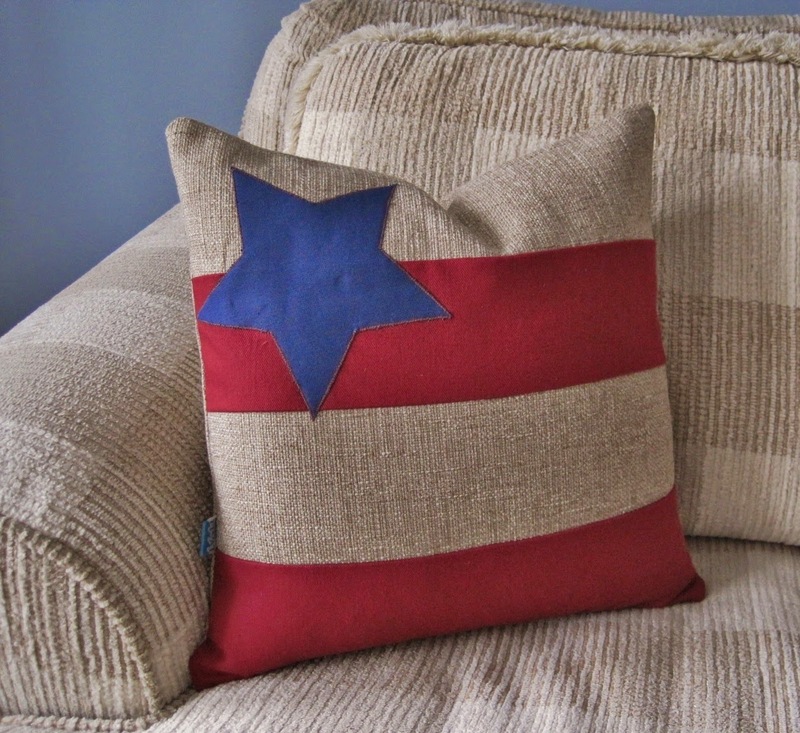 This deep red works beautifully with blue, white and natural burlap colors. 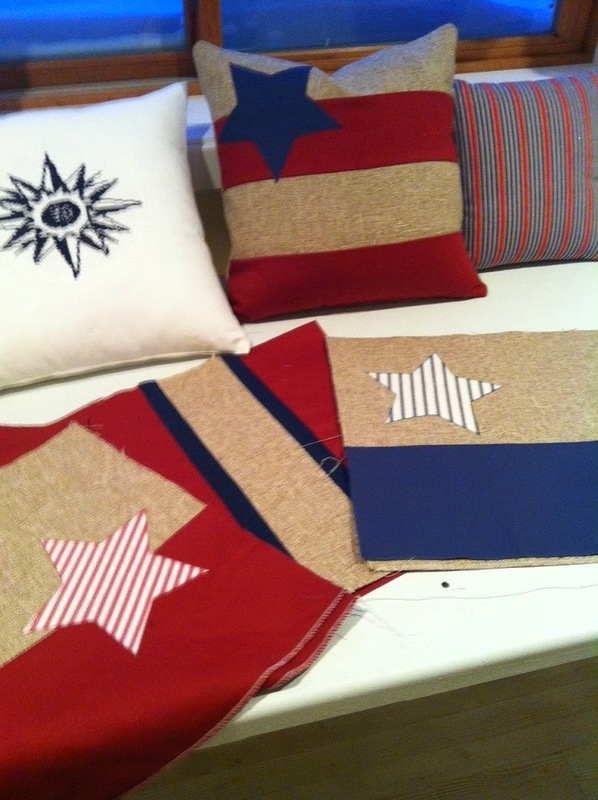 Here's a sampling of the finished pillows.